If you're lucky enough to have already found that perfect Christmas gift for someone, then this seasonal gift box is the perfect way to present it to them. The pillow pack is made from snowy white card and is decorated with red snowflakes on its sides. 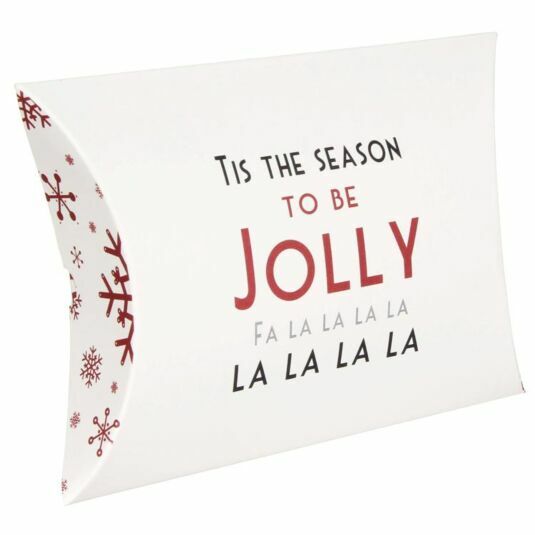 On the front is the message: 'Tis the season to be jolly, Fa la la la la, la la la la'. The box can even be unmade and stored away for next Christmas, making this an elegant and brilliant way to present a gift.